The church of Santa Bibiana (1st photo below) was originally built in either 363 AD or 467 AD. The present facade was desgined and built by Gian Lorenzo Bernini in 1624-1626, and it houses the statue of St. Bibiano (2nd photo below) by Bernini, sculpted in 1626, which shows her holding the leaf of martyrs, standing next to the column to which she was to be martyred. 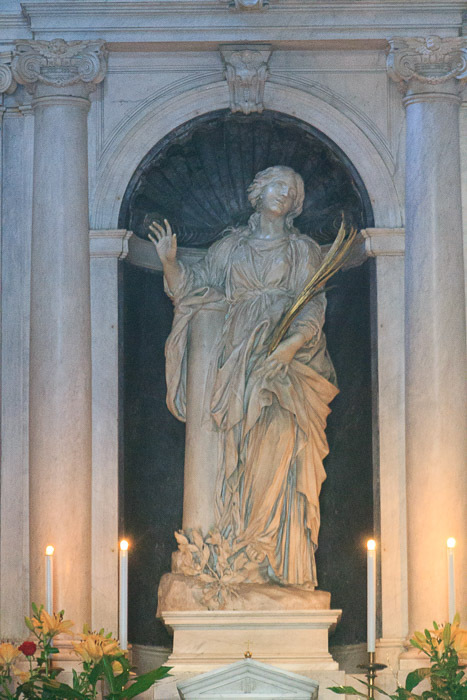 I didn't quite time arrival at this church right, and since the church was closed, I had to take the picture of Bernini's St, Bibiana through the glass door of the church. 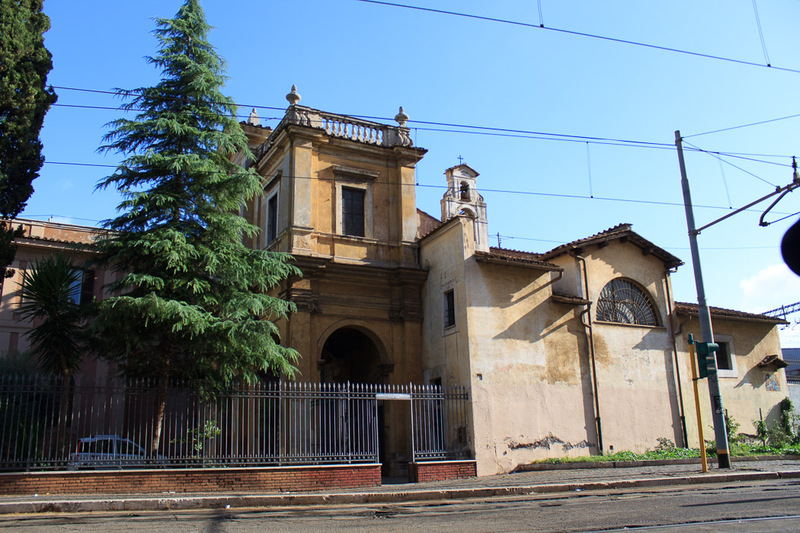 See all Santa Bibiana photos.